A variation on traditional memory foam mattresses, Sanya Sleep's Levana Mattress combines the soft feel of memory foam with 6" caliber edge 660 coils to create a hybrid perfect for any home. Levana offers 2" of plush gel memory foam - an unique variation of memory foam that offers a plusher feel than traditional foam, with the added benefit of transferring heat for a cool, cozy night's rest. 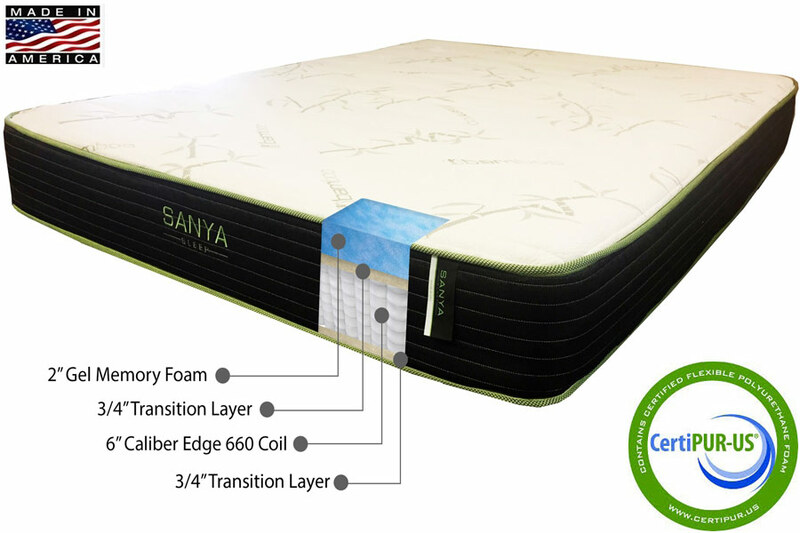 Levana's wrapped coils are nestled between layers of 3/4" thick transition foam, giving the design a blend of memory foam's restful comfort with a little more traditional "bounce" like your innerspring mattress. Crafted in the USA.